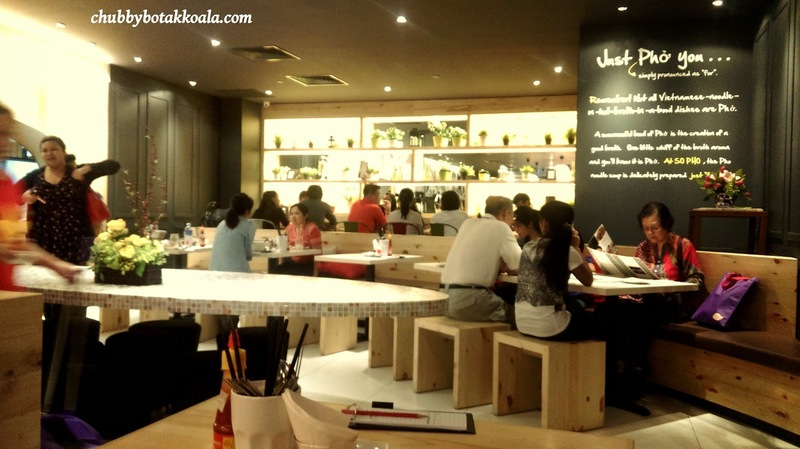 In the past few years, more and more Vietnamese restaurants seems to open up in Singapore. 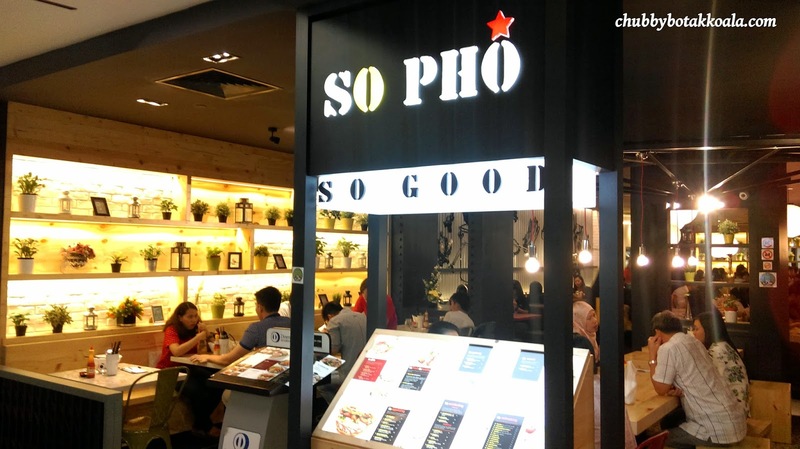 Although the growth was not as exponential as the upper class Ramen invasion in SG, Vietnamese PHO follow the slow yet steady path to win the stomach of Singaporeans. Although it is no very obvious, to get a Halal Vietnamese food can be a challenge for our muslim friends, especially when pork feature prominently in Vietnamese cuisine. Fortunately, Katrina Holdings see the opportunity in the market and introduce So Pho. Little Devil has a bit of Vietnamese Food cravings when we were in NEX, so we decided on So Pho. 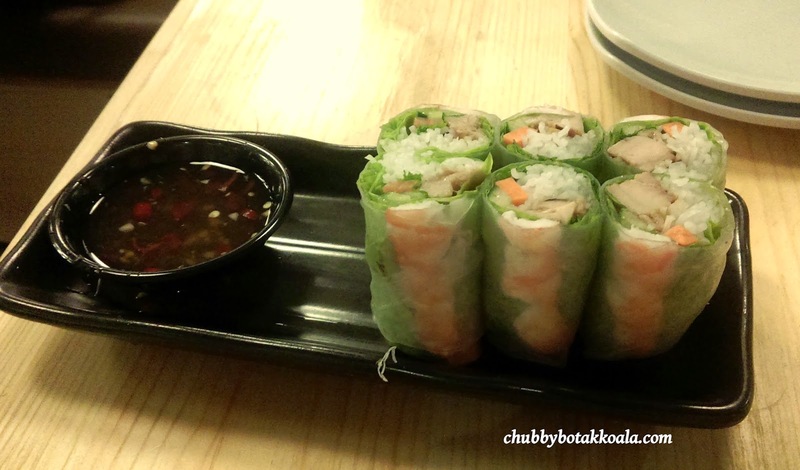 We started with Gỏi cuốn (Summer Roll – with prawn and lemongrass chicken $4.50). The rice paper roll is moist and filled fresh ingredients such as carrot, chicken, bee hoon, sliced prawns and vegetables. The sauce was sweet fish sauce, is light and not spicy. However, We are missing the peanut sauce that normally come with the summer roll. For mains, I had Fresh vermicelli with grilled beef and fresh spring rolls ($9.80). 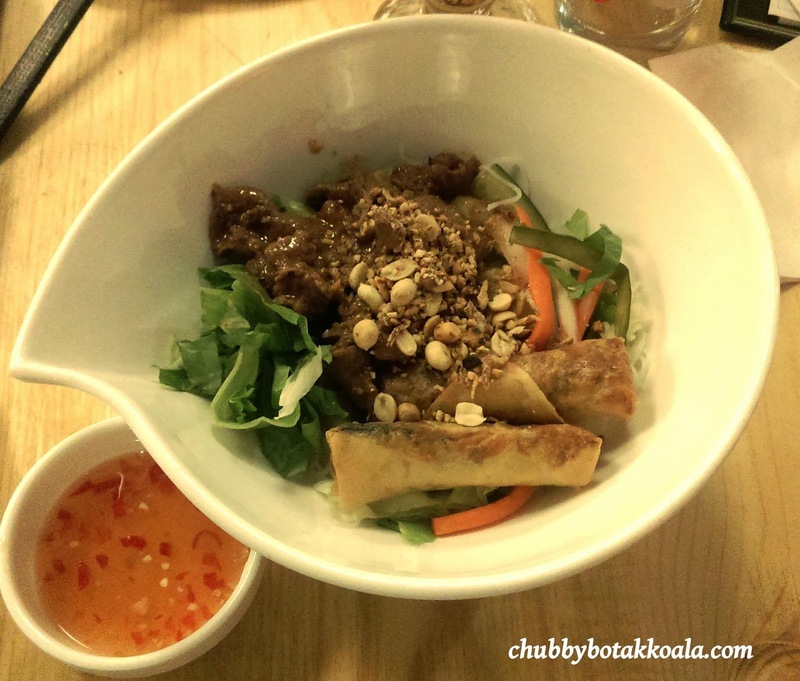 The portion is good and the spring rolls are fresh and crispy. The grilled beef is flavourful, but a little though to chew on. The combination of peanuts, crunchy vegetables, the vermicelli and sweet fish sauce, create an explosion of flavour and textures in your mouth. Yum!! 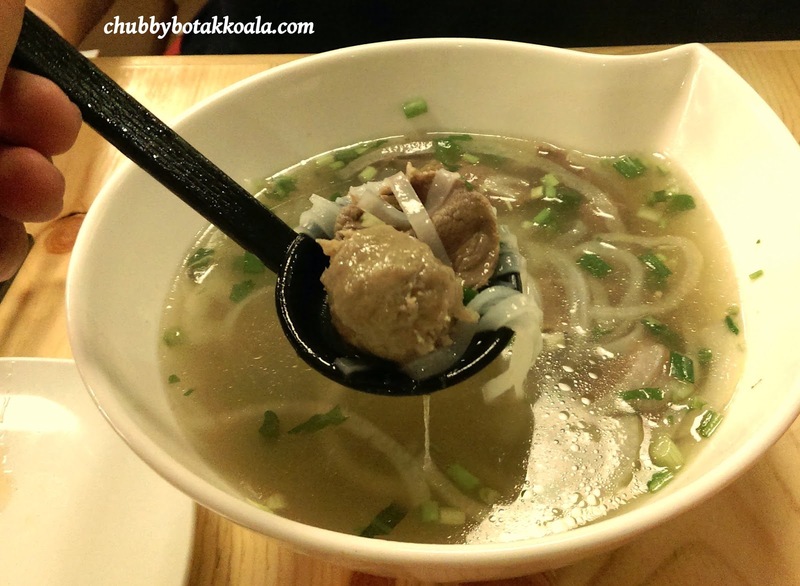 Vietnamese Pho with sliced beef and beef ball soup ($8.80) is robust but on the sweet side. We feels that they put too much rock sugar in the broth. 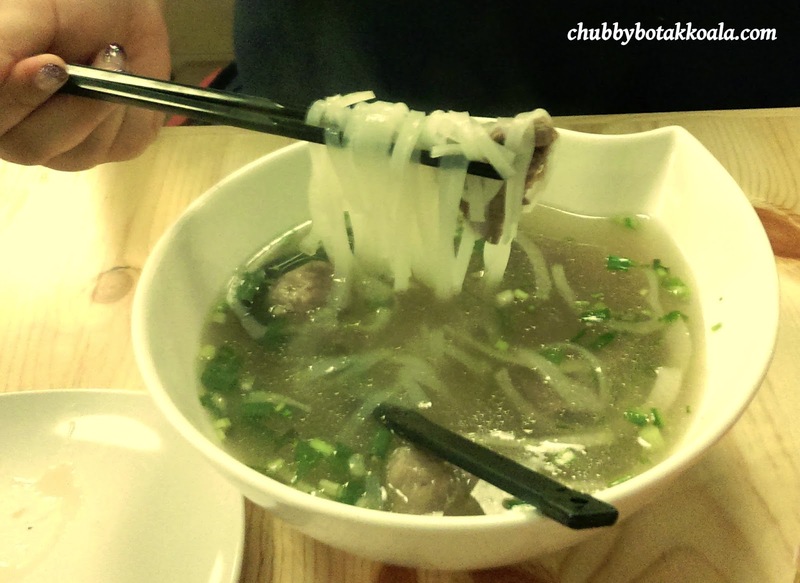 The sliced beef are tender, while the beef balls and rice noodle are springy (qq) in texture. 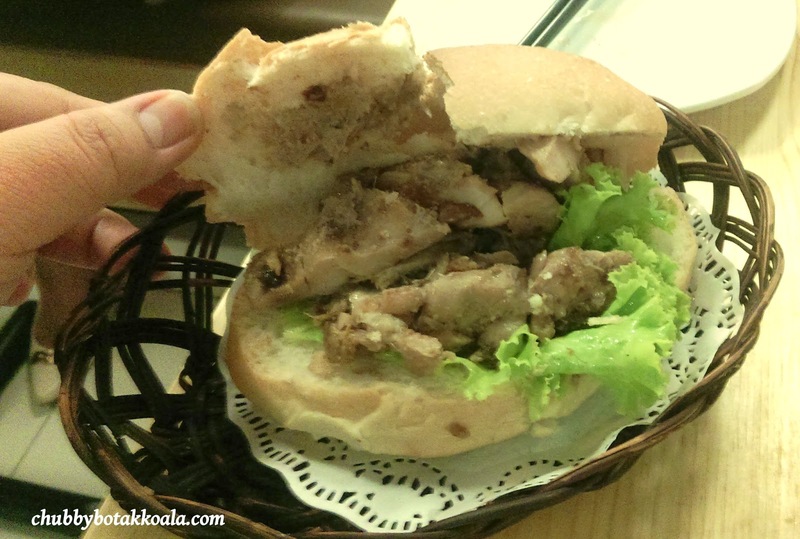 Interested in trying out their Baguette (Banh Mi), we ordered Bahn Mi Chicken (Baguette with Grilled Chicken & Chicken Pate $5.90). Using the chicken liver as pate is a creative way to replace the pork version. The baguette is light and crisp, the pate is smooth, velvety and flavourful. The chicken is tender. A good Banh Mi flavourful, yet well balanced. For drinks with Vietnamese flair, give Lemongrass Tea or Sparkling Vietnamese Limeade a try. 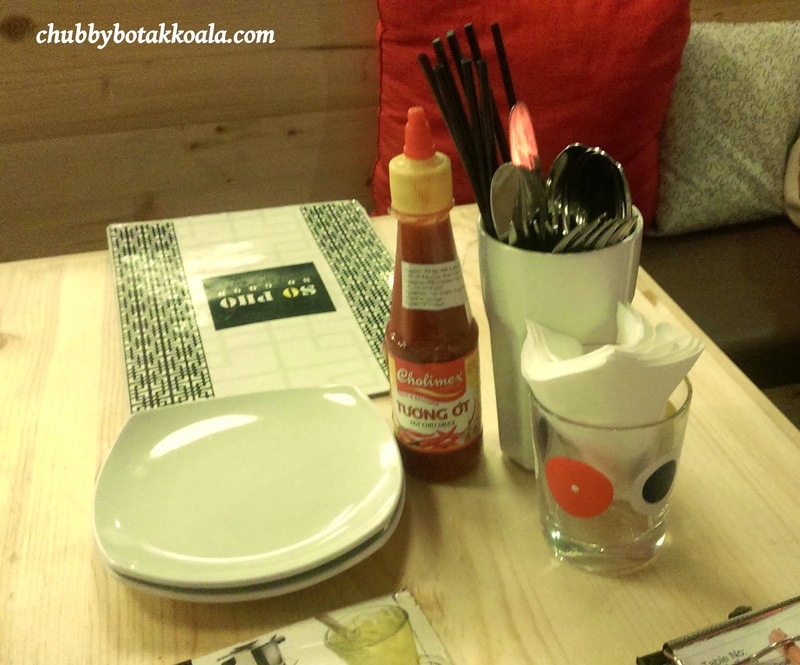 The concept of the restaurant is open, bright and modern yet simplistic in a way. The use of light wood colour are prominent in this place. There are lots of mini flowers on the pot used to for decoration. Service is fast and the food come quite fast. Overall, if you are looking for a quick fix of Vietnamese food or something that looks more healthy, you might want to consider So Pho. The food are fresh and flavourful, serving are fast and accommodate to the mass. Cheers!! 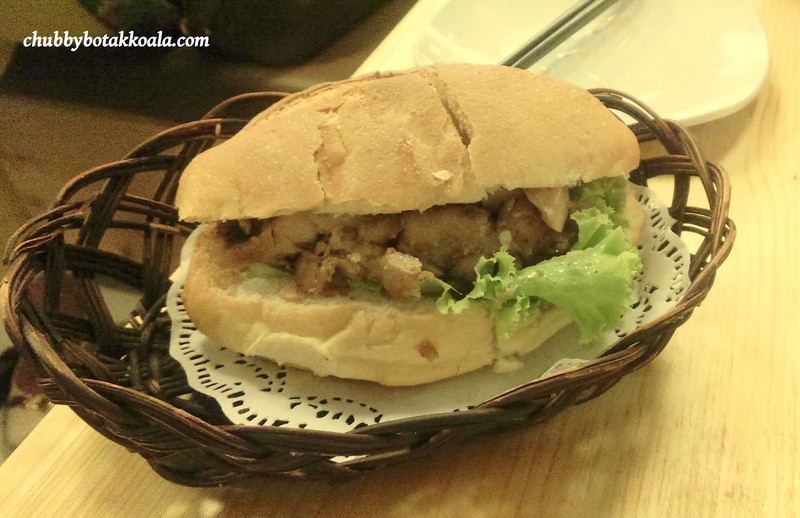 Sunday Market – Probably the Best Cafe for 2014! !